Calling Australia home, AMAANDO® has long been serving one of the country’s biggest industries – agriculture. 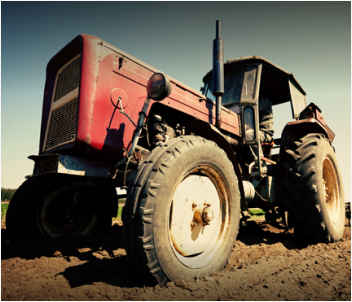 We manufacture and stock a wide variety of oil seals, O-rings and bearings for agriculture and farming machinery. The multiple-lip design of seals we supply are ideal for applications on agricultural equipment as they help minimise the accumulation of dust in mechanical parts (i.e. the bearings); the high grade seals we produce for hydraulic pump motors also have the attribute to withstand high pressure. 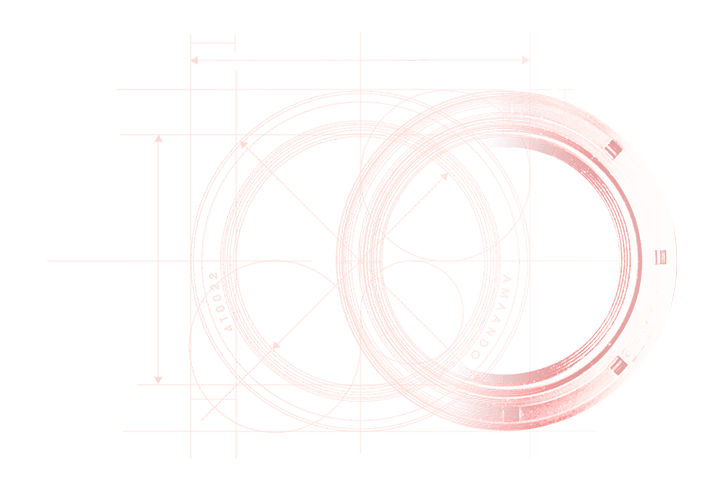 With continuous focus on stringent quality management, AMAANDO® has met specific requirements of several global clients and been proudly supporting an array of reputed end-user brands with our quality-assured products – We not only manufacture OEM standard oils seals, WE MAKE THE ORIGINAL. AMAANDO® stocks over 7000 rotary shaft seals in different sizes and types, including strut seals, hydraulic pump seals, axle seals, power steering seals and engine seals etc. Our rotary shaft seals are available in various materials including NBR, PVMQ, FKM, ACM, PTFE and stainless steel. AMAANDO® carries a comprehensive range of hydraulic and pneumatic seals, including single acting seals, double acting piston seals, guide rings and Vee Packing seal sets etc. The hydraulic and pneumatic seals we offer are in various materials, including but not limited to polyurethane and NBR rubber. We carry mechanical face seals (Duo Cone seals) in different types, sizes and materials to suit applications on various earthmoving equipments. The AMAANDO® team is also able to custom develop mechanical face seals in accordance with client's requirements and specifications. O-rings and X-rings in various standards such as AS568, BS, JIS and standard metric sizes are available in large quantity at the AMAANDO® warehouse. They are also offered in different materials including NBR, PVMQ, and FKM. AMAANDO® supplies high quality phenolic resin and bronze-filled PTFE guide rings in a range of sizes. The AMAANDO® guide rings provide high wear resistance and excellent anti-friction properties. AMAANDO® carries a range of AS568, BS, JIS and standard metric sizes backup rings in PTFE and NBR rubber to suit O-rings or X-rings required. We also customise PTFE backup rings to meet client's specifications. AMAANDO® supplies a broad array of mechanical seals. Available in various sizes and materials, these mechanical seals mainly find their applications in automobiles, motorcycles, washing machines, dry cleaners and water pumps etc. We stock a complete range of 6000-series ball bearings, taper bearings and needle roller bearings. Automotive wheel bearings are also available from the AMAANDO® warehouse. The Hub Units we supply are manufactured to high quality standards. They are offered to suit vehicles of all popular makes and models in the market. A complete range of oil seal and bearing repair kits are available from AMAANDO® for parts replacement on automobiles, earthmoving equipment and forklifts. Popular kits include swivel housing kits for Toyota, Suzuki and Nissan 4x4 vehicles; cylinder kits for Komatsu, Caterpillar and Hitachi earthmoving equipments; repair kits for Nissan, Toyota and TCM forklifts. We are also unbeatable on the range of wheel bearing kits we stock, which cover most major automotive brands in the market. Need more information? Please contact us now.